India, the world's fastest growing economy and most populous democracy, is a colorful mosaic of coexisting cultures and faiths. India is perhaps one of the only countries in the world where there has never been any anti-Semitic sentiments expressed by the local communities. Jews continue to live and prosper in India, though with a population of only about 6,000. The history of Jewish India is fascinating. They came at different times from Israel, Portugal, Iraq, Afghanistan, Syria and Yemen and have lived here for more than 2000 years. 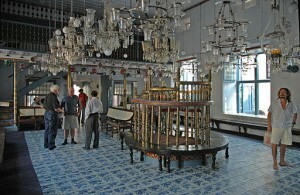 Stories of Jewish history go back to Cochin, where the first Jew arrived as spice merchants. Interestingly, a community that was so different from Hinduism, got support and protection from the Indian king. The King from Malabar embraced them and allowed them to conduct their business and practice their religion freely. 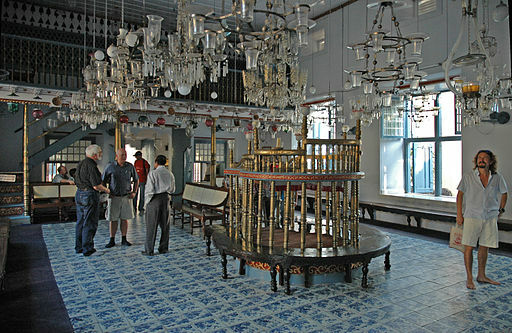 The Malabari or Cochin Jews, as they were called, lived a life of the locals and assimilated the culture and traditions while building synagogues around the city. This noble secular decree of the Indian ruler is engraved in copper plates present at the Holy Ark Synagogue in Cochin. While it is hard to believe that a sizable Jewish population did exist here, it is harder to fathom that three distinctive Jewish groups make the Jews of India. Apart from the Malabari or Cochin Jews, there were the Bene-Israeli and the Baghdadi Jews. Each of them have a different story of their Indian sojourn. Bene Israeli Jews form the majority of Jews in India and are based in and around Mumbai. As legend has it, seven men and seven women were washed ashore a tiny town at Navagaon near Alibaug, just south of Mumbai. It is believed, they were refugees from the Romans. Having lost all written guidelines for practicing Judaism, the Bene-Israelis lived peacefully and kept the rituals they remembered: certain laws of kashrut, Shabbat and reciting the Shema (which became an all-purpose prayer). The survivors settled and became farmers and coconut-oil pressers-shanwar telli (literally, "Saturday oil men" because they did not work on Shabbat). The Bene Israeli group mellifluously bonded with the locals. They picked up the language of Marathi and also, got surnames that sounded similar to the locals. When Israel was formed, many of them (close to 70, 000) went back to the holy land. In 1964, the Rabbinate of Israel declared that the Bene Israelis are "full Jews in every respect." The Bene Israel community claimed to be descendants of the Kohanim, the ancient Israelite priests, which claims descent from Aaron, the brother of Moses. In 2002, a DNA test confirmed that the Bene Israel share the same heredity as the Kohanim. Then in the 19th century came along a new community of “Baghdadi” Jews, who came from the area between the Tigris and Euphrates rivers, for centuries a center of Jewish learning and culture. However, the name soon came to include Jews from Syria and other parts of the Ottoman Empire, Aden, and Yemen, who were all Arabic-speaking, and even Jews from Persia and Afghanistan. Baghdadi Jews often referred to themselves as Sephardim, an allusion to their liturgical tradition rather than their geographic origin. They primarily settled in Mumbai, Rangoon and Calcutta and were active in textile and jute industries. They were extremely educated and affluent, hence they were an umbilical part of the city’s trade. They turned cities into cosmopolitan work centers and contributed a lot to the infrastructure of the city. The most prominent of them being David Sassoon, whose philanthropic evidence includes, Sassoon Docks, the Sassoon Library and the Bhaudaji Lad museum. The Indian Jews who have immigrated to Israel contribute as 1 % of the population. They have been quite prosperous managing multi-million dollar flower businesses and exporting Israeli flowers all over the world. The Jews living in India rose in the society, boasting poet laureate, top doctors, scholars, contributing to Bollywood and serving in high level positions in the Government service. Today, India tours are a prosperous part of the local economy as a great way to experience the beautiful culture here first hand. Gil Travel's Jewish India Tour combines both Jewish history and remarkable Indian culture. You will not just have the opportunity to visit historic Jewish sites and learn the unknown secrets of the Jewish experience in India but also witness the breath-taking scenery and fascinating culture of India!